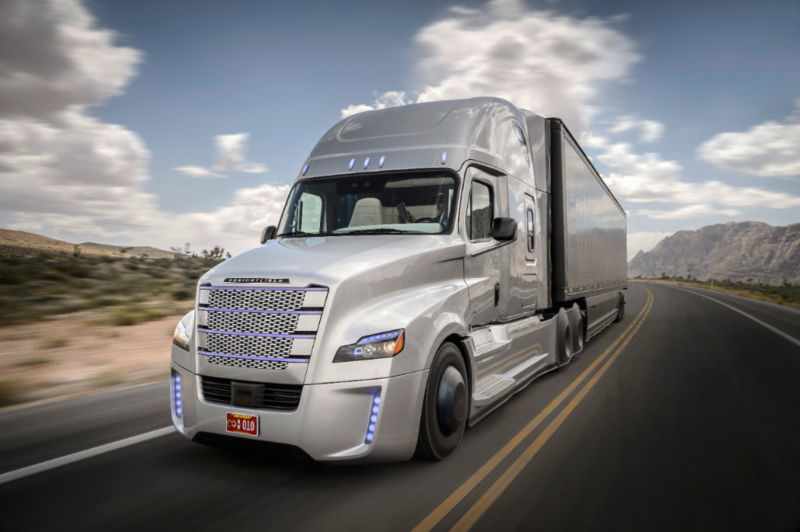 Autonomous cars have been at the forefront of transportation topics for quite a while now, however it looks like Freightliner will be the first to have autonomous trucks on the road first in the self-driven auto race. To much fanfare and attention, Freightliner showed off the first Smart Truck on the road atop Hoover Dam in early May. Since then, other manufacturers such as Kenworth and Peterbilt have also unveiled similar technology; however, the Freightliner technology remains the most advanced entry into this automated race. The features of the Freightliner Inspiration Truck that set it apart from the growing crowd include Highway Pilot mode. This feature allows the truck to cruise the highway while the driver does the other things. Despite previous misconceptions that this would eliminate the need for the driver, the driver is still necessary to navigate surface streets, exits, interchanges, and everything else that’s not highway cruising. Additionally, the driver retains full control over the truck at all times – a simple grab of the wheel or tap of the brake pedal overrides the computer and returns control of the truck to the driver. Not only will this new technology from Freightliner be an improvement for the comfort of the driver, it will also allow the manufacturer to gather more data from the road. Every mile the Freightliner Inspiration Truck spends auto-driving the road is another point of data they can analyze to help improve the safety and logistics of long haul trucking. While the technology isn’t quite perfect just yet, we are closer than ever to seeing the Freightliner autonomous truck on the road. For now only four states, including Nevada and the District of Columbia, are allowing testing of these autonomous vehicles on public roads provided that a human driver is behind the wheel; few others are keen on allowing testing. But as improvements in the way this technology works continues to evolve and improve, the closer we will get to seeing these magnificent high-tech trucks on public highways and byways.